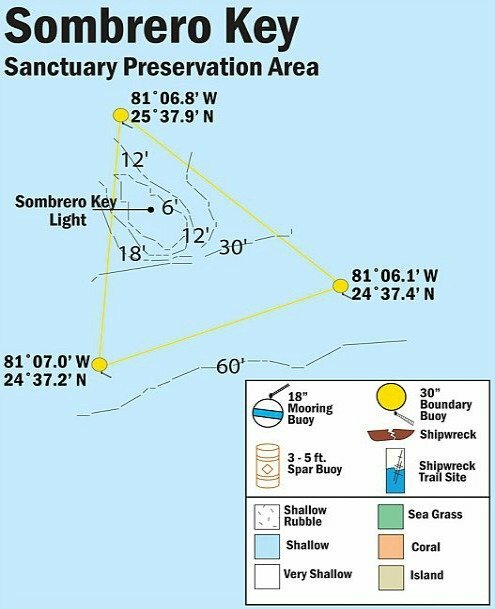 Sombrero Reef is a designated SPA area and is one of the more popular scuba diving and Florida Keys snorkeling destinations in the Marathon Florida area. The area's name is derived from the 142' lighthouse which is located in the northern section of the SPA region. This large reef is a good example of a standard spur and groove coral reef formation. 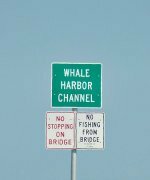 It also has one area in particular that's a huge favorite with anyone snorkeling or scuba diving Florida Keys. The arch is a large, limestone structure decorated with numerous colorful stony and gorgonian coral and sea sponges that's also teeming with snapper, grunt and neon gobies. With such variety in the marine life, this Florida Keys coral reef is considered to be one of the best and most colorful Florida Keys snorkeling and novice dive sites in the region. Also, because the light is able to penetrate the shallow waters, everything is given a brighter tone. This makes it one of the best places to capture some absolutely amazing underwater photos. You'll want to have an underwater camera, preferably one that's hands free so you can grab as many great pictures as possible. You'll certainly want to capture a snapshot of the toothy barracudas guarding the arch. Plus don't forget the tiny gobies working at their cleaning stations removing parasites from the larger Florida fish. Then you'll also want to shoot a few pictures of the moray eels peeking out at you from beneath the lighthouse. This is perhaps one of the most photogenic Florida Keys snorkeling spots you'll have an opportunity to explore. However the downside is that this area can be rather hectic with all the traffic. With it's ease of access, high visibility, and interesting array of dive features, it's understandable why it's so popular. However, don't let the traffic dissuade you from going. You would be missing out on a wonderful Florida Keys snorkeling or novice dive opportunity if you did. Just don't forget your snorkel or diving gear. You'll want to bring what you have or you'll need to rent from the charter company you go out with.